They are the champions, my friends. And they will rock you. 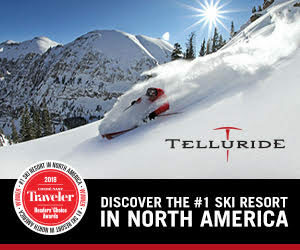 Celebrate the Arts in Telluride this Weekend! Kick your heels up in Telluride this weekend. Celebrate the arts at three signature events: Ah Haa Art Auction, Art + Architecture Weekend, and Shakespeare in the Park. There are just two performances left of Telluride Theatre’s original play “Alice Underground.” The shows start at 8 p.m. at the Palm Theatre and admission is free.